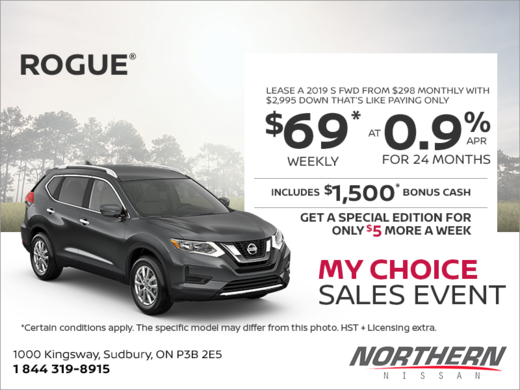 Home > Special Offers > Sales > Get the 2019 Nissan Rogue Today! 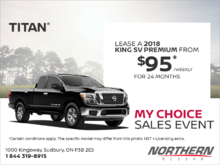 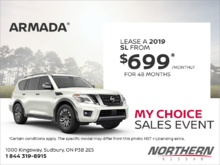 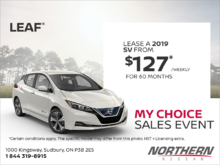 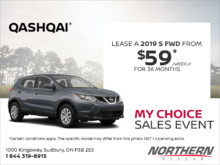 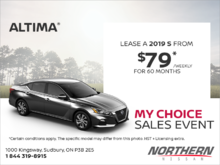 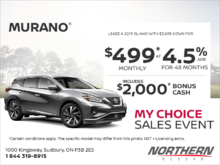 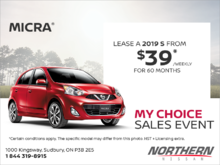 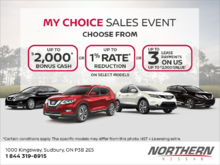 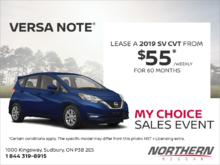 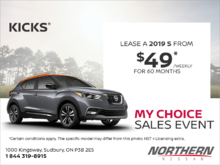 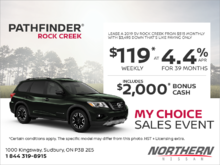 Lease the 2019 Nissan Rogue starting from $298 monthly, which is like paying just $69 weekly at 0.9% for up to 24 months with $2,995 down! 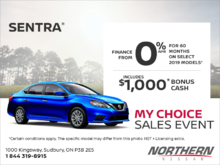 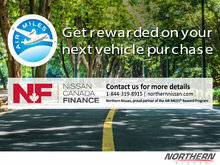 Offer includes $1,500 bonus cash! 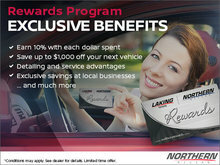 Get a special edition model for just $5 extra per week!